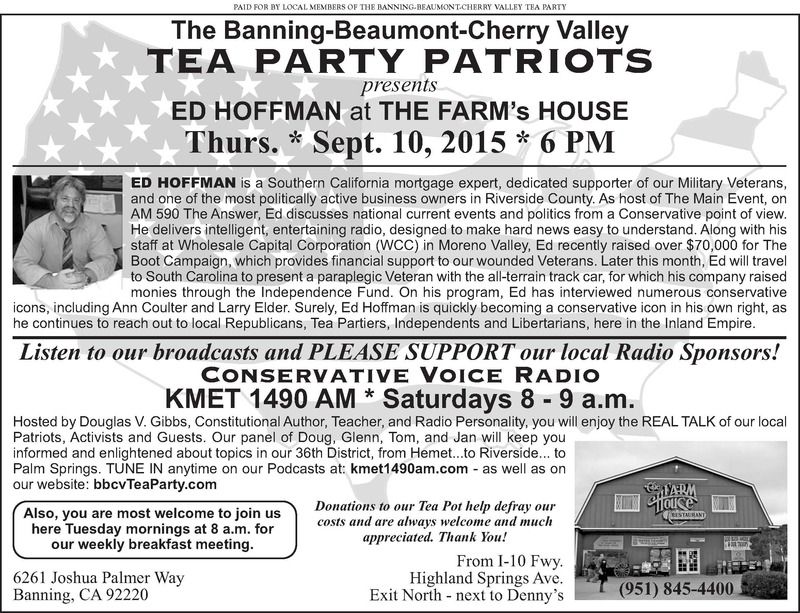 We will be doing our local Banning-Beaumont-Cherry Valley Tea Party radio program after breakfast tomorrow at our studio’s in Cherry Valley. 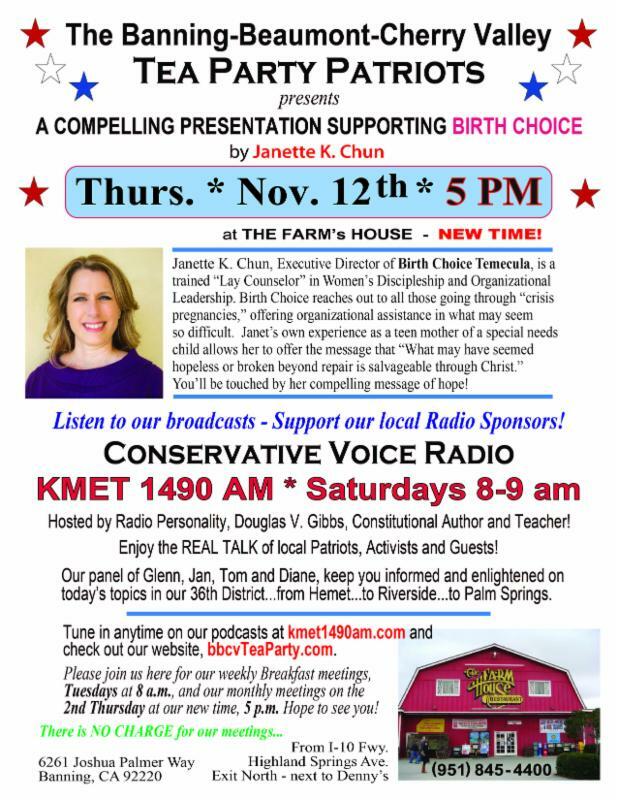 This will be our 44th broadcast of Conservative Voice Radio on KMET 1490AM. 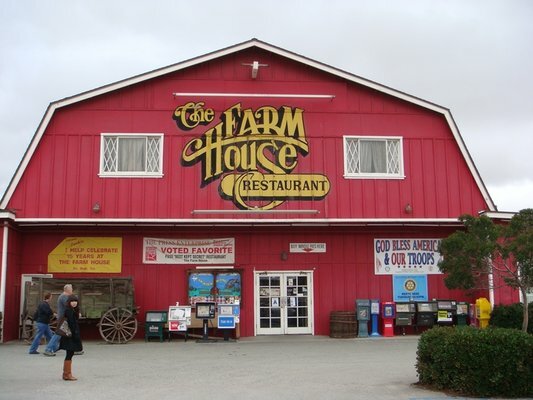 Breakfast meeting tomorrow morning at 8am at the Farm House in Banning. 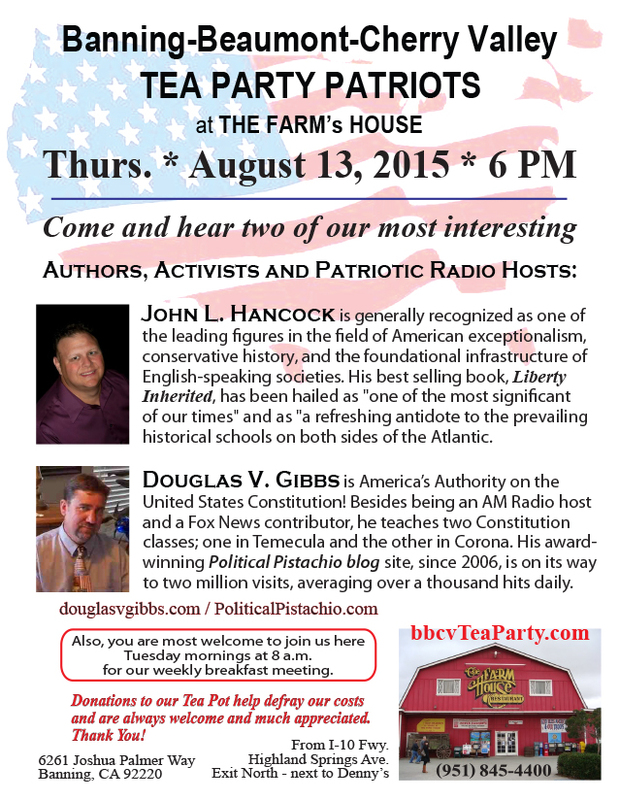 Come join other like minded conservatives to discuss the constant flood of problems plaguing America. Come give your insight to the last Republican Debate last week. See flyer below for up-coming November 12th evening meeting at the Farm’s House Restaurant in Banning. See note at bottom on petition drive. Dale Dieleman will be giving us a report on the petition drive to repeal Governor Jerry Brown’s bathroom bill. Dale will have copies of the petition available. Breakfast meeting this Tuesday Sept 1st 8am at the Farm’s House Restaurant in Banning. 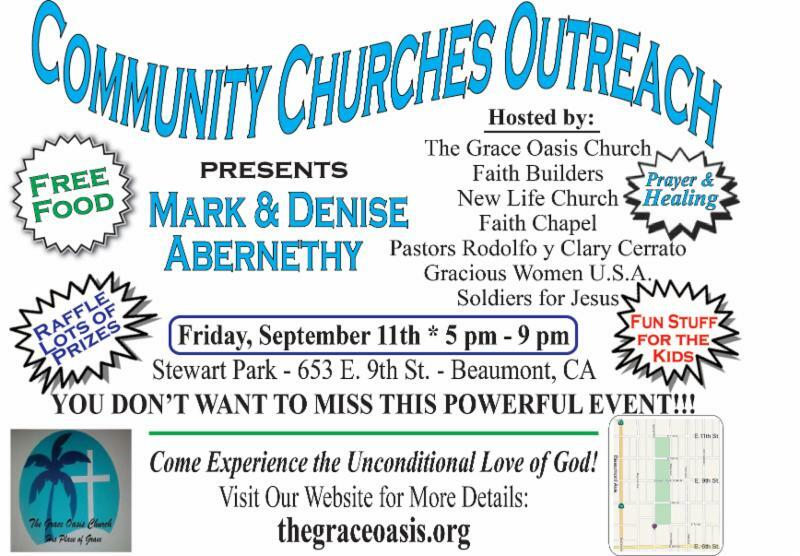 See flyer for the Pastors event at Stewart Park in Beaumont on September 11th (911), the dayAmerica was attack by Islamic Terrorist. We’re encouraging pastors to register christians and vote their values. 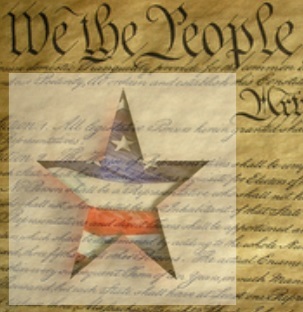 Important National News Update, click here for an audio or written report produced by Tea Party Patriots for last week. Please sign up on the national Tea Party Patriots web site for national updates, click here for link. Thanks again to local conservative supporters for helping with the Tea Party Conservative Voice Radio and Doug V. Gibbs Constitutional Radio broadcast weekly on KMET 1490AM. BBCV Tea Party tomorrow evening 6pm at the Farm’s House Restaurant in Banning. Bring a friend this is a free event. See flyer below for more details. Please sign up on the national Tea Party Patriots web site to vote on your selection in a upcoming poll for president, click here the for link.